Kisi post ko good rank dilane ke liye ke liye backlink banana behad jaruri hai. Yah Off Page SEO ka main part bhi hai. Isliye ham aapke liye liye laye top 1048 social bookmarking sites list. Is list me aap easily apne blog ko submit kar do follow backlink bana sakte hai. Social Bookmarking Kyon Hai jaruri ? 1.Domain Authority increase hoti hai. 2.Page Authority increase hoti hai. Hope, ab easily backlink bana sakenge aur high raking pa sakenge. 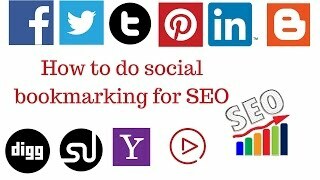 Iske alawa bhi aap koi dusra social bookmarking sites use karte hai to jarur share karen. Thanks for useful information.Great work!!! Thanks to appreciate my effort. You have select good list but how can i use this list ? Simply Sign up with one. Submit Your post link. Enjoy. but i need to ask u one thing i didn’t select or copy these links to my web page so how can i search these links typing one by one process or what?? if i’m typing one by on e it will take more time of mine so can u please help me out to save my time. Don’t worry, I will mail you a copy of these link. I did’nt get any kind of mail can you please reconsider my issue..
It’s my humble request to you.. Please provide me your working email-id. I will check and add to the list.